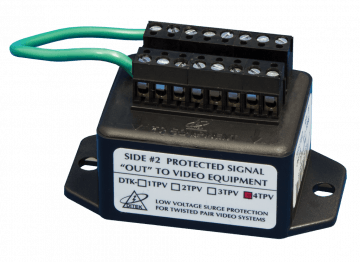 The DTK-4TPV provides surge protection for twisted pair video lines against surges entering on the unshielded video wiring. Use to protect cameras, converters and DVR's. 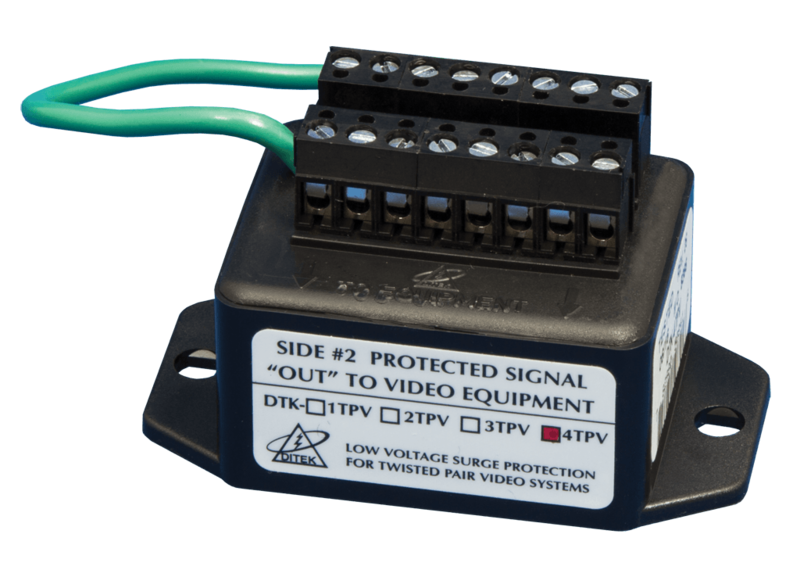 DITEK's D50 industrial AC power surge protection devices are recommended for electrical panels rated at 200A or less. The D50-120/2083Y protects 120/208VAC three phase wye panels.